Inspired by the emerging field of Crossmodalism, The Sonic Sensorium: Jazz Edition explored the interaction between the senses: pairing music and sound, to taste and aroma, creating an all-encompassing sensual experience. The Sonic Sensorium: Jazz Edition was a concert and tasting menu like no other, pairing the work of three performers with either a creative cocktail, edible perfume or experimental taste. Produced by AVM Curiosities, and hosted by award-winning food historian Tasha Marks, this special Jazz edition used the senses as a storyteller, responding directly to Two Temple Place's exhibition, Rhythm & Reaction: The Age Of Jazz In Britain, with their magnificent Great Hall as a backdrop. Auntie Maureen goes faithfully by the adage that beauty is a thing of the past. Together with her trusted companion, a 1930s wind-up gramophone, she will take you on a musical adventure, a journey of melodic storytelling through the voices of history. Exclusively for the Sonic Sensorium, Auntie Maureen's bespoke set will showcase American jazz greats alongside original British compositions. 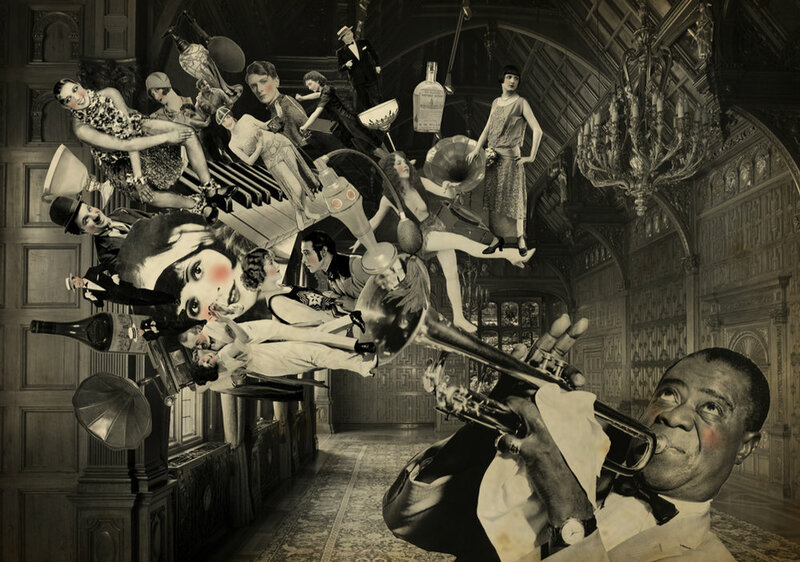 Each telling a story as part of the great cultural party called the Jazz Age, through spoken word and the nostalgic soundscape floating from her vintage machine. Steve Christie & Louisa Revolta have been performing together for 10 years, and have collectively written and produced several albums of original material. Steve is a composer, performer and sound engineer, and runs a recording studio specialising in vintage, historic keyboard instruments and equipment. Louisa is a jazz singer, saxophonist and composer, as well as a writer for vintage harmony group The Spitfire Sisters. For this year's Sonic Sensorium, the esteemed pair will be presenting an expedition through rhythm, starting in 1924 and ending in 2006. The Sonic Sensorium is proud to present the premier of a brilliant trio; Mark Kavuma, Nikki Simpson & Mike Winawer, who will be performing a tribute to Billie Holiday, with a temporal twist. 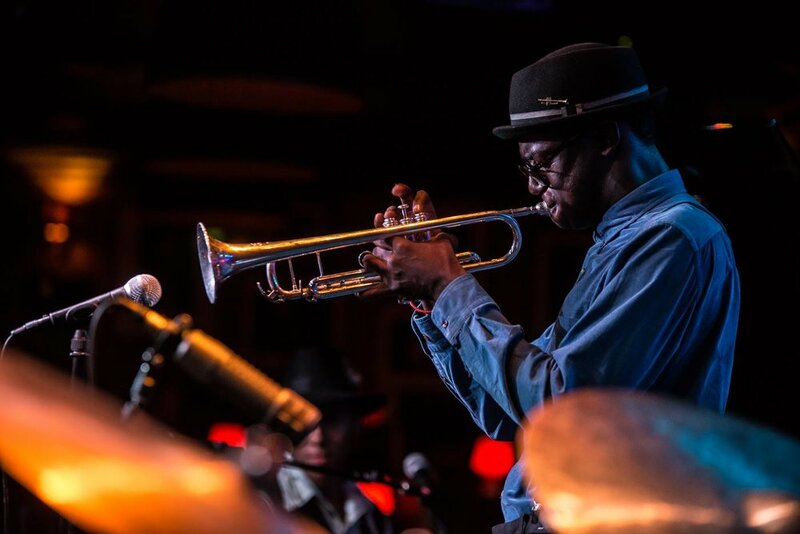 Mark Kavuma is a prominent young trumpet player on the British jazz scene. A graduate of Trinity College of Music, he leads own quartet as well as playing with Jean Toussaint's Young Lions, Jazz Jamaica and Nu Civilisation Orchestra. He was voted best soloist at the very first 'Essentially Ellington' competition which led to him being featured as guest soloist with Wynton Marsalis and Jazz at Lincoln Center Orchestra. Mike Winawer is a guitarist whose versatility has led to him working with a diverse and wide range of musicians. A graduate of Cambridge University and the Royal College of Music, he has performed with artists from Yolanda Brown and Beth Rowley to Candi Staton and Daft Punk. He has also toured with Bridget Amofah and the BBC World Music Award nominee Oi Va Voi.